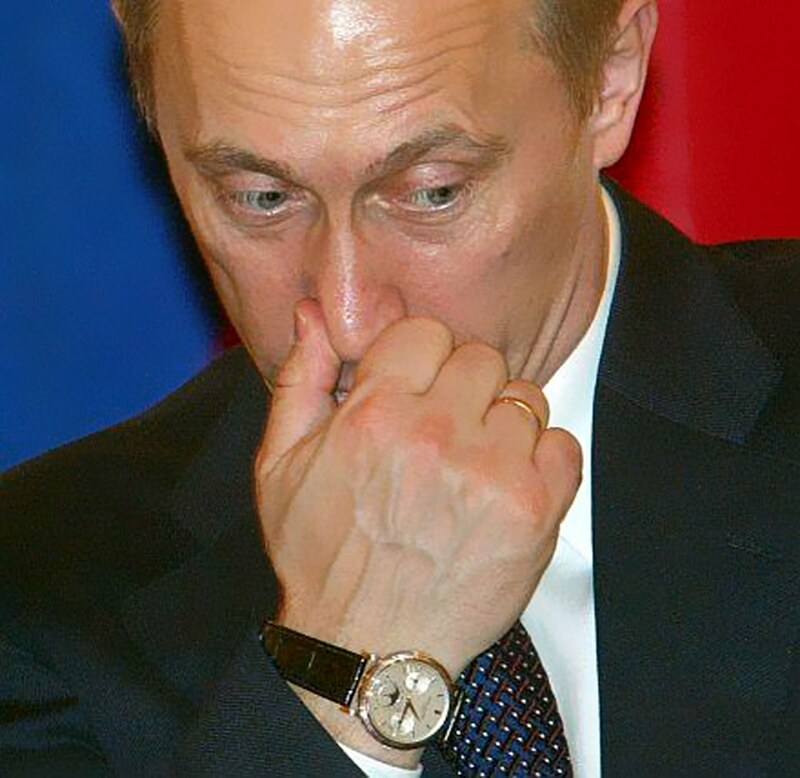 Many sources have suggested that Russian President, Vladimir Putin is a big watch collector and it has been speculated that he wears multiple Patek Philippe models. The only challenge is that I have never been able to make a positive ID, which drove me crazy!?! That being said, I believe I have narrowed it down, and I believe I can make a positive ID. 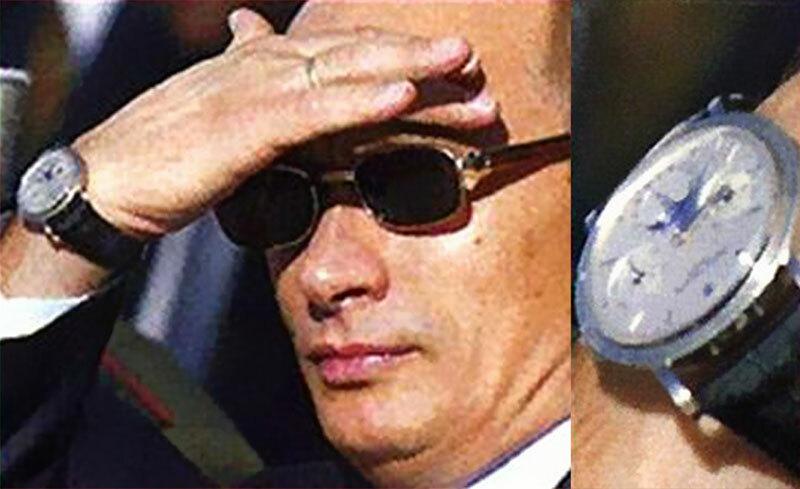 These first two images show Vladimir Putin wearing some kind of annual or perpetual calendar with Patek Philippe design language written all over it. 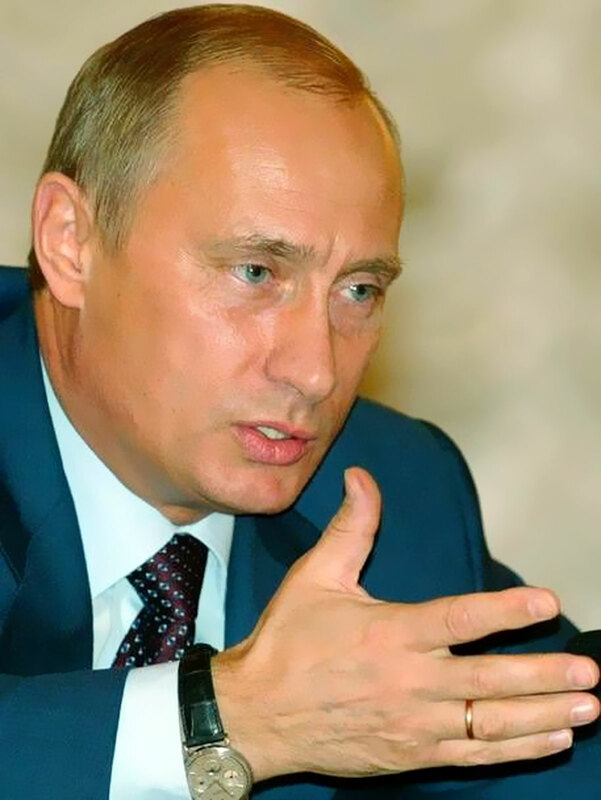 In the photos above and below he appears to be wearing a yellow gold Patek Philippe watch. 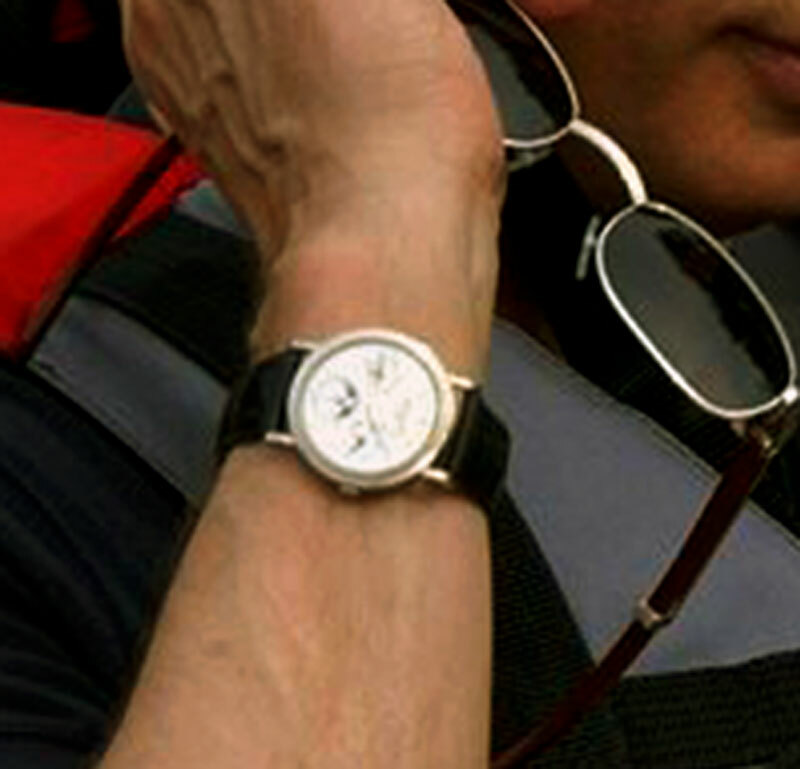 Some people have speculated he is wearing a Patek Philippe Reference 5140. The Patek Philippe Reference 5140 replaced the Reference 3940. One thing is for certain, and that is his watch has dauphine hands, but I somehow can't get past the lugs. They look very skinny to me, and the size of the watch looks smaller than a 5140. I have ruled out the Patek Philippe 3940 because it has wider lugs. There is also another interesting question. 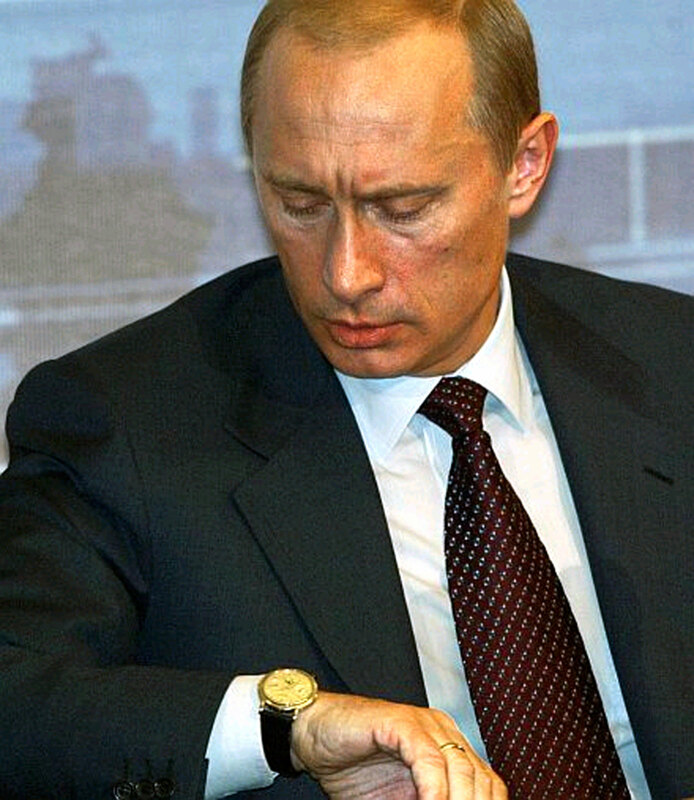 In the photo above, the watch Putin is wearing is clearly white gold and in the one below it is clearly yellow gold. I believe this means he owns the same Patek Philippe in both white and yellow gold. 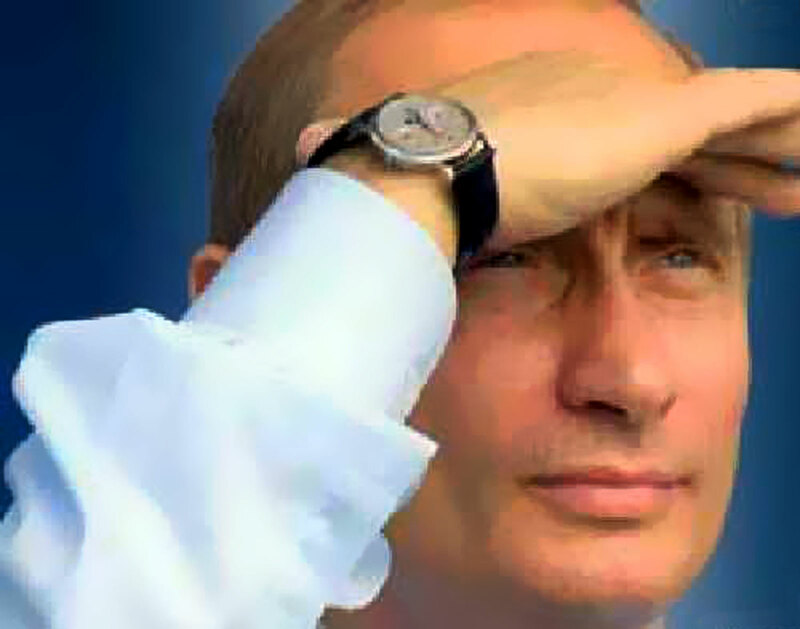 In the photo below I am certain Vladimir Putin is wearing a Patek Philippe Reference 5039. 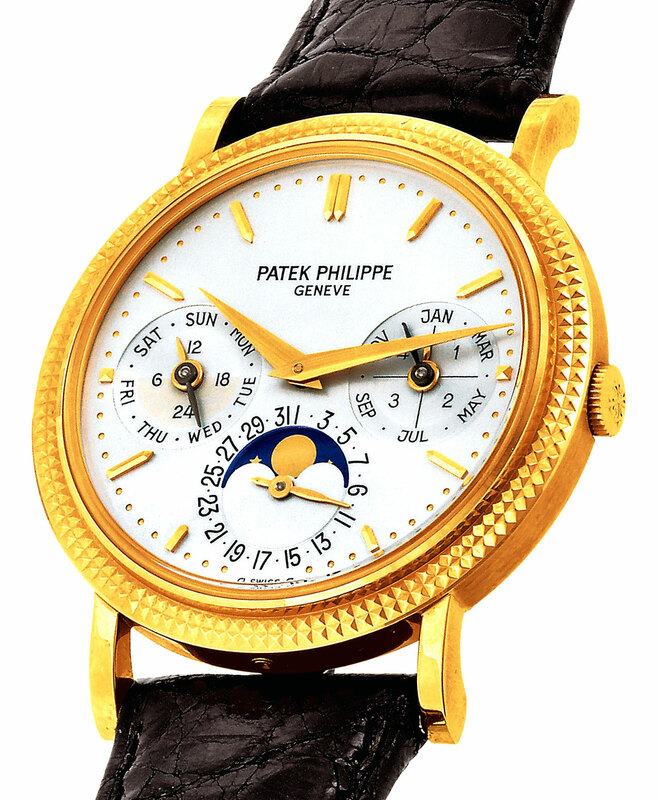 I think it is possible in the two photos of him above wearing a Patek Philippe, he could very well be wearing the same 5039 pictured below, and it is possible the hobnail bezel detail got knocked-out by the camera angle, lighting conditions and/or lack of resolution. This is my best guess of why we can't see the hobnail bezel detail. If you take a look at the story I did on Jack Welch, the former CEO of General Electric, you can see him pictured on the cover of his book, and in other photos, where you can see his Patek Philippe, which has the hobnail bezel, but you can't make out the hobnail pattern or details. 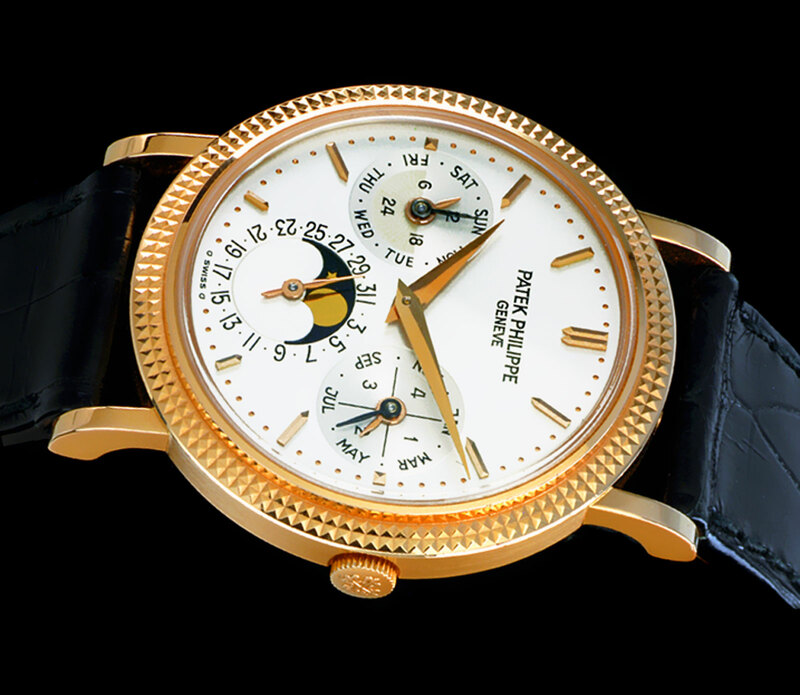 The photo below is of a Patek Philippe Reference 5039 in yellow gold. The Reference 5039 has a 240Q caliber movement, and essentially it is identical to a Reference 3940, but with a special rare case that has a hobnail bezel. This watch is magnificently elegant, and has world-leader written all over it. 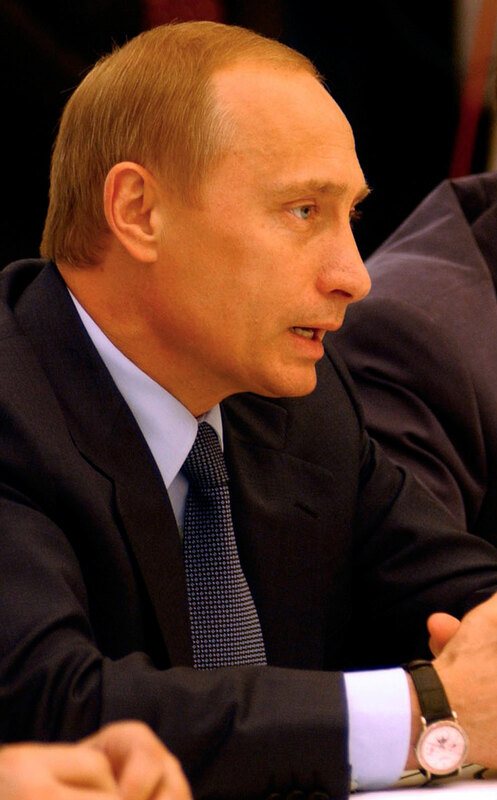 Here are a several more photos of Russian President, Vladimir Putin wearing his Patek Philippe Reference 5039. This first image of him river rafting while wearing his Patek Philippe ads further confirmation or proof he is indeed wearing a Reference 5039. 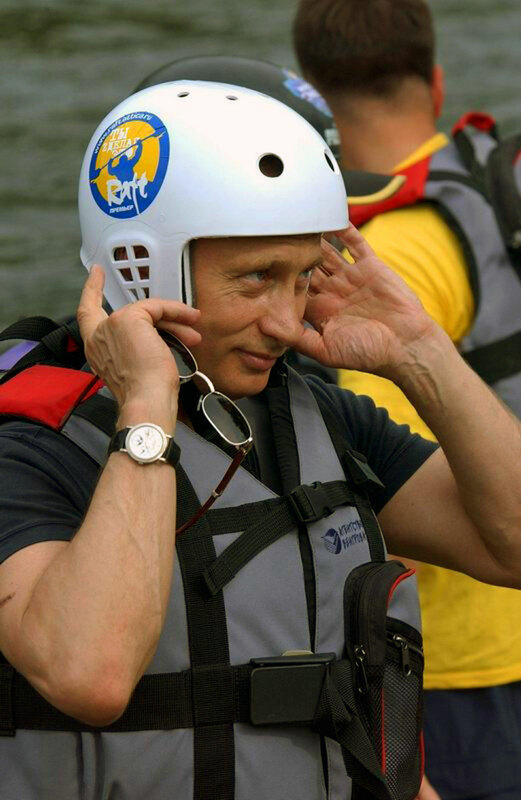 It is kind of ironic the President of Russia is wearing a super elegant Patek Philippe to go river rafting, but I think it is really cool, and after all there is a sporty elegance to the Reference 5039. This model is waterproof, so why not get it wet. My old friend, Mike just purchased his first Patek Philippe wristwatch and it is an absolute beauty. Mike is best known in the online watch community by his online handle of "BSOD Mike." In this video, Mike shares his impression of his new beauty, with Frank Sinatra's "My Way" playing in the background, which is a classic and meaningful as Mike's new grail Patek Philippe. For a watch enthusiast/collector, there in no higher high than finally attaining a grail watch as we get to witness first hand with Mike. Tenzing Norgay's autobiographer, James Ullman once wrote "It is the ultimate wisdom of the mountains, that a man is never more of a man, than when he is reaching for something just outside his grasp," which is profoundly true. In this case (no pun intended) Mike reached his goal! Congratulations Mike!!! Wear it well!!! Cheers!!!! !